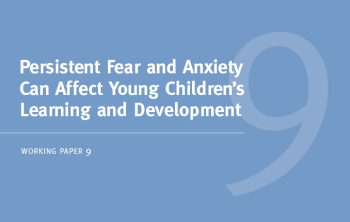 Understanding how the experiences children have starting at birth, even prenatally, affect lifelong outcomes—combined with new knowledge about the core capabilities adults need to thrive as parents and in the workplace—provides a strong foundation upon which policymakers and civic leaders can design a shared and more effective agenda. 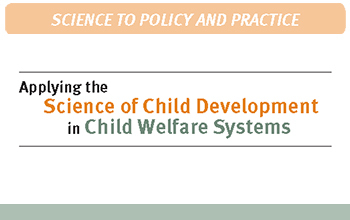 This paper shows how the science of child development can be leveraged to strengthen and improve the public child welfare system so that it can better support the children, families, and communities it serves. 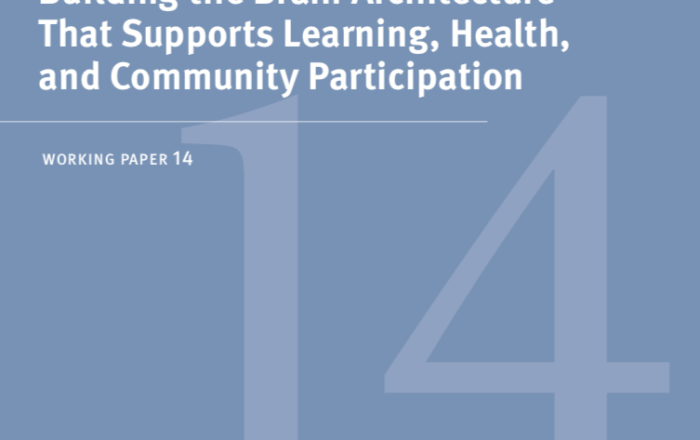 This report identifies the core capabilities adults need to succeed in life and support the development of the next generation, how these capabilities develop, and what compromises them, and provides approaches for helping adults to build these core skills. 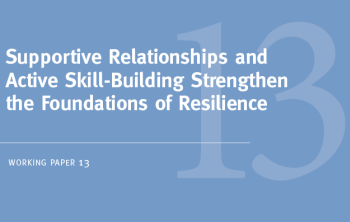 This working paper from the National Scientific Council on the Developing Child explains how supportive relationships with adults help children develop “resilience,” or the set of skills needed to respond to adversity and thrive. 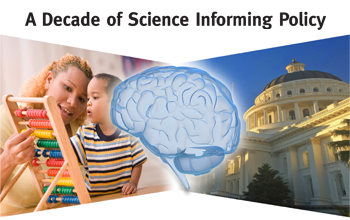 This retrospective report describes the history of how the National Scientific Council on the Developing Child came to be, what its impact has been, how its members work, and why the Council has made a difference. 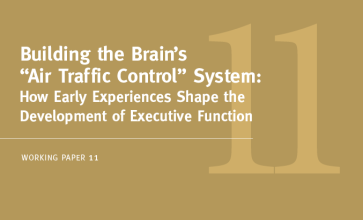 This working paper from the National Scientific Council on the Developing Child explains how executive function skills develop, what can disrupt their development, and how supporting them pays off in school and life. This report explains how the earliest years lay the groundwork for lifelong health. 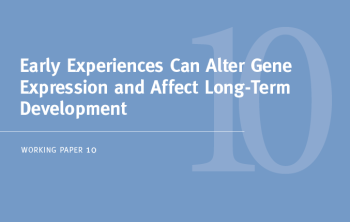 Early experiences can affect how and if genes are expressed. 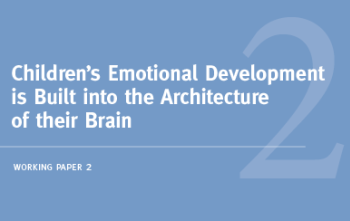 This working paper from the National Scientific Council on the Developing Child explains how children’s early environmental influences shape their developing brain architecture. 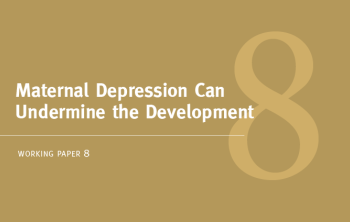 This working paper from the National Scientific Council on the Developing Child and the National Forum on Early Childhood Policy and Programs examines why addressing the consequences of serious depression in parents and caregivers could support the future prosperity and well-being of both children and society as a whole. 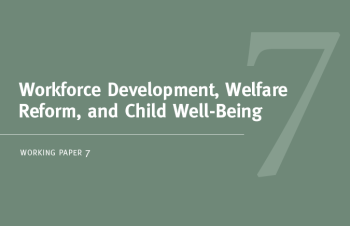 This working paper from the National Forum on Early Childhood Policy and Programs summarizes evaluations of family self-sufficiency programs to show that policies can achieve both positive economic benefits for parents and positive educational effects for their children. 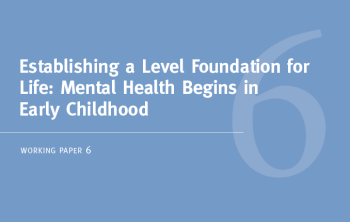 This working paper from the National Scientific Council on the Developing Child explains why sound mental health is the foundation that supports all other aspects of human development—from the formation of friendships to achievement in school. 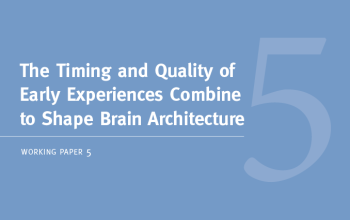 This working paper from the National Scientific Council on the Developing Child explains key scientific advances in understanding why the early years matter for brain development, as well as the implications of those findings for policy. 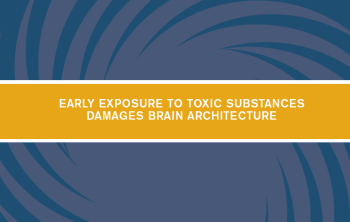 This working paper from the National Scientific Council on the Developing Child explains how exposure to toxins before birth or early in life can have a devastating and lifelong effect on the developing architecture of the brain. 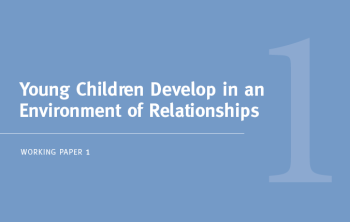 This working paper from the National Scientific Council on the Developing Child discusses how a child’s capacity to regulate emotions develops in a complex interaction with his or her environment and ongoing mental, physical, and social development. 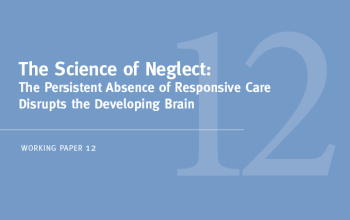 It also discusses the implications of this research for policies affecting young children, their caregivers, and service providers.